Making the decision to sell their business is difficult for any business owner. Too many put the decision off and end up selling when their business is past its peak. How do you stop this happening to you? 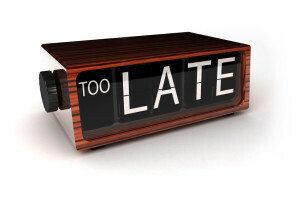 One of the biggest mistakes business owners make is waiting too long to sell their company. Recently we found a buyer for a well-known local business supplies wholesaler. The business sold on a decent but not spectacular multiple. It should have been a lot better. Five years ago sales had been almost double recent levels, and profits almost three times higher. Why Is Hanging On Invariably A Mistake? Like a lot of businessmen our client had kept his head down through his early sixties until a sudden jolt – in his case a brush with cancer – encouraged him to get serious about selling. The problem was that as his own energy had sapped, the business had gently declined. No effort was put into acquiring new customers. Younger staff had become frustrated and left. What was left was a steady but uninspiring customer base, a core of staff beyond normal retirement age, out of date computer systems and premises that had seen better days. The goodwill in the customer base still had some value, but it had leaked away with the owner’s declining energy. We got a steady stream of potential buyers to meet the owner, but they could see that the best days of the company had come and gone. Many of them either passed on the opportunity or made a low ball offer. In this case we found a couple of local companies who had a good fit with the seller, and leveraged the competition to achieve a decent price. It doesn’t always happen like that. Too often the owner gets offended by what they see as an opportunistic offer and goes back to running the business. This is just about the worst thing that can happen, but it is hard to get an owner to see that another year of inertia will erode even more value. So what is the answer? Well obviously for business owners to recognise that they need to sell before their own declining energies begin to damage the company. In many cases the value wrapped up in the business is a big part of the owner’s retirement plans, and waiting too long is a disaster. Even a small company that might be worth £200,000 to £300,000 at its peak is better sold when it has some value. It may not be enough to retire on outright, but with money in the bank a less stressful, even part-time job, is a more gentle route into eventual retirement. No company owner needs reminding that running a successful private company is a young man’s game.